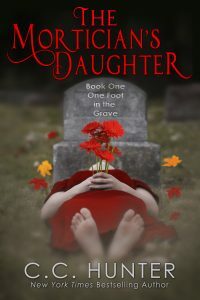 I just got the book trailer to The Mortician’s Daughter: One Foot in the Grave and I couldn’t wait until my regular Tuesday blog to share it with you!!! Just click or tap on the video to get it to play. Once again,seventeen-year-old Riley Smith is the new kid in school and her dad’s career has her back to being dubbed a freak. Truth is, she’s a much bigger freak than her classmates think. The only company she keeps these days is the dead who follow Dad home from work. She can see them. She can speak to them. And Fate seems to think she can help them solve their last problems so that they can move on to the other side. Which is odd, because with the loss of her mother and her father’s alcoholism, she’s got enough problems of her own. It’s not just the parents who worry about their teens. The teens also worry about their parents. Not all ghosts are scary. Some of them are sweet, caring, and would be the best boyfriend, if only they were alive. Being the new kid in school is hard. But when you’re in the twelfth grade and your father in the town’s mortician it can be terrifying. Have you ever been the new kid school? Or have you ever been in a situation that were the newcomer and found it hard to make friends? 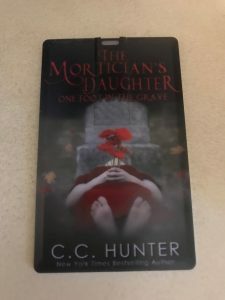 I’ll give away a USB card with The Mortician’s Daughter: One Foot in the Grave on it to one person who leaves a comment. The Mortician’s Daughter: One Foot in the Grave is available for pre-order at Barnes and Noble and Amazon. Last week, I gave you two chances to win a giveaway. Thanks to everyone who entered. Sonja, you have won a copy of Haven by Mary Lindsey and Courtney H., you’ve won a copy of This Heart of Mine. 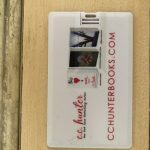 Please email me at cc@cchunterbooks.com with your mailing address. Congratulations! So, I guess it’s no surprise that friendship is always a strong theme in my books. What would Kylie, Della and Miranda do if they didn’t have each other? How many times did they save each other’s butts? And who can forget their Diet Cokes around the table as they talked out their problems and helped each other with solutions? In The Mortician’s Daughter: One Foot in the Grave, Riley finds a best friend, too. Kelsey is a bit prickly at first. Oh, but soon she standing up for Riley. Which leads Riley to stand up for her. It’s a shame that a fight erupts and Riley ends up with pretty black, blue and purple eye. Then there’s her other friend, Hayden. The only problem is that he’s dead. But she finds herself relying on him more and more as time goes by, even though she knows she’ll have to let him go. On February 27th, This Heart of Mine comes out, and like the rest of my books, friendship plays a pivotal role. Leah MacKenzie’s best friend is Brandy. And Brandy is the friend who has stuck by her through her through thick and thin and even her heart problems. She’s the one friend that makes Leah feel like a normal teen. They share their problems and their dreams, even though Leah doesn’t expect to realize any of her dreams. Last week, I gave you sneak peek of Riley and Kelsey’s world. So, are you ready to meet Leah and Brandy? Ready to be drawn into Leah’s world? I have great news for you! Follow the link HERE, download the PDF and you can read the first chapter of This Heart of Mine. 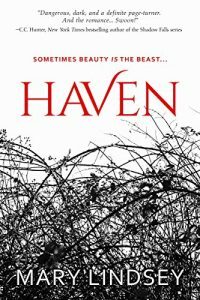 Speaking of friends, one of my friends, Mary Lindsey has a book coming out called Haven on November 1st, right after The Mortician’s Daughter. I’ve read it guys, and all I can say is WOW. It’s up for pre-order at Amazon and I recommend you go snag a copy. You won’t be disappointed! Because I love this book so much, I’m giving away a hard cover copy to someone who leaves a comment. 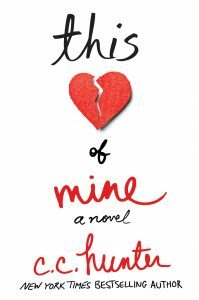 I’m giving away one copy of This Heart of Mine to someone who leaves a comment and tells me about one of their friends. The winners of last week’s giveaway are Isabela Salcedo & Ally. 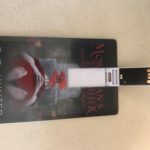 Please email me at cc@cchunterbooks.com with your mailing address so I can send you The Mortician’s Daughter: One Foot in the Grave on a USB stick. Here’s to reading. Here’s to best friends. Are you ready to meet Riley Smith? If you loved Kylie’s compassionate side, Della’s spirit, and Miranda’s zaniness, you are going to love Riley. She’s spunky. She’s spirited. She’s full of sass. And she sees dead people. It won’t be long until The Mortician’s Daughter: One Foot in the Grave is released on Oct. 31st. Yes, that’s Halloween, and that seems appropriate since Riley Smith sees ghosts. She even tries to help them resolve their problems and finally cross over. But not all ghosts are easy to help, and some aren’t easy to let go of. And . . . for you guys who can’t live without a print copy, The Mortician’s Daughter will also be out in print. More details about that soon! If you’d like to read an excerpt from The Mortician’s Daughter: One Foot in the Grave, just click HERE. Did you know One Foot in the Grave is only the first of three books in the series? Oh yeah, Riley Smith is going to be hanging out with me for a while. Hopefully, you’ll enjoy her company as much as I do. And for those of you who want a print version, well, the print version is now up for pre-order! You can get it at Amazon. 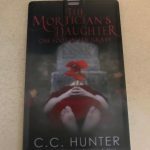 I’m giving away two USB drives with The Mortician’s Daughter: One Foot in the Grave on it. I love these. Plus, it has extra room for you to store other things. To enter share the link to to the excerpt on your own social media page and leave me a post here saying you did it. 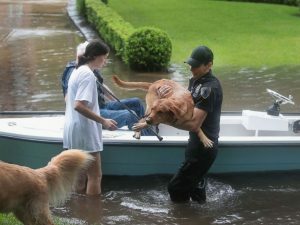 So many lives have been upended in Houston by Hurricane Harvey. My heart breaks when I see the news. My family and I are all fine, and for that, I am so grateful. For any of my fans in Houston, my heart and thoughts go out to you. The spirit of Texas is alive and well in all the volunteers that have come together to help others. In so many ways it is this spirit that inspired the life force of Shadow Falls and the characters in my many novels. Thank you for being fans and here’s to the power of human kindness. If you’re looking for a way to help, donate HERE to the Red Cross. I’ve talked before about my husband’s kidney transplant. At one time, he was lined up to get both a kidney and a heart. We had to take classes and we learned about all kinds of transplants. Hubby ended up getting the kidney and his heart improved. We are grateful for every extra day that has given us. Here are some of the things I learned. Did you know that about 3,000 people in the United States are on the waiting list for a heart transplant on any given day? And only about 2,000 donor hearts are available each year. Wait times vary from days to several months and will depend on a recipient’s blood type and condition. An organ transplant can save a person’s life. I think it’s safe to say this young man appreciates his heart transplant. Just watching this video brought tears to my eyes. I hope he has a long, healthy life. I hope he keeps dancing. Like this teenager, Leah needs a heart transplant in This Heart of Mine. So, when a heart becomes available, she’s given a second chance at life—and love. This Heart of Mine is available for pre-order now at Amazon, Barnes & Noble, BAM, Indie Bound and Powells. Do you know anyone that’s has had an organ transplant?